Daytona 24 Hours, Florida, USA. 30th - 31st January 1988. Rd 1. 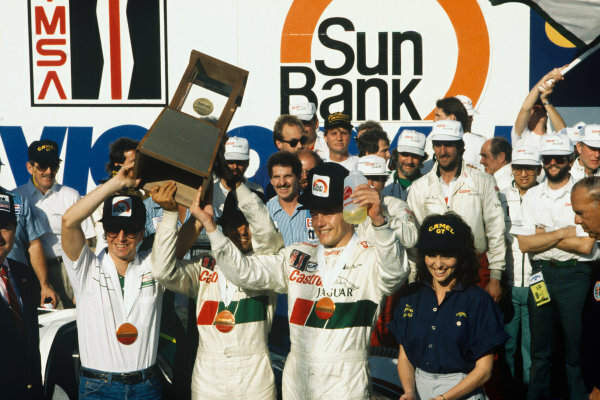 Martin Brundle/Raul Boesel/John Nielsen (Jaguar XJR-9), 1st position, podium, portrait. World Copyright: LAT Photographic. Ref: 88IMSA DAY02.